Did you know our presidents were great readers? Thomas Jefferson's personal library was one of the largest. It went through many stages, including the loss of many books to a fire in his childhood home. But, when the Library of Congress burned down in 1814, he had the largest collection of books in America. It was to the Library of Congress that he eventually sold his collection. Share with your children how powerful it is to collect books or take trips to the library, along with the meaning of passing along favorites to family or friends. Visit the library or organize a bookshelf with your little one in honor of Thomas Jefferson. President Obama is known for being an avid reader. His alleged favorites even include the children's classic Where the Wild Things Are and the Harry Potter books he used to read to his daughters. Inspire your children by sharing with them the many great things they can do when they embrace their imagination…and spend time with their nose in a book! Read books with fantastical elements in honor of President Obama. Though we often associate George Washington with a bowl of cherries, have you ever wondered what his favorite food really was way back in the late 18th century? Our very first president was an ice cream lover! It's good to know that ice cream is a dessert that has stood the test of time. In celebration of this wonderful insight, scoop out a favorite ice cream flavor with your kids and cuddle up with a good book in honor of George Washington—whose birthday is just around the corner on February 23rd. Can you guess who the first president was to ride in an automobile? It was President Theodore Roosevelt, who was also the first to travel out of the country (to Panama) during his term. 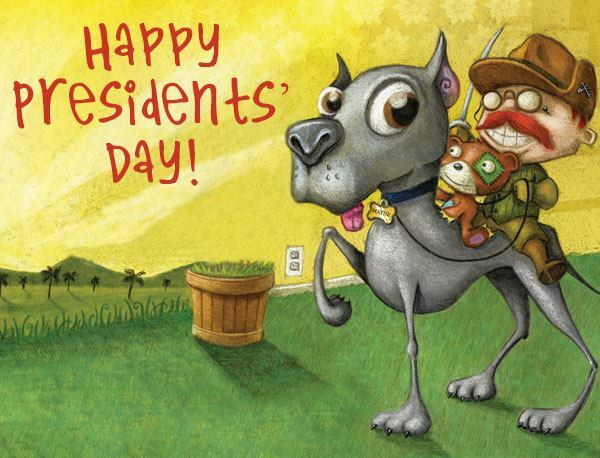 Cars, planes, and trains are great indeed, but for now, grab your children, open up a book packed with adventure, and travel somewhere magnificent in honor of Teddy Roosevelt! Your son can become the star of an entertaining exploration through history, while learning about the great men that helped shape America. Through this imaginative journey, your son will discover how great men become heroes: the roughest rider can be surprisingly gentle, a strong leader is also the most peaceful, and sometimes, being brave about what makes you different will not only help you break records, but inspire others. In this New York Times bestselling children's book, your daughter can turn into the imaginative Isabella and explore the outstanding women who have changed our history! This heartwarming personalized book will empower your daughter to celebrate her unique personality and imagination, and it will become a story to pass down through the generations! * Use coupon code PREZ17 to take advantage of this offer and receive 17% off our regular price shown on the website. Your discount will be applied to the following titles: My Name is Not Alexander and My Name is Not Isabella, and will be calculated at the time of checkout. Shipping and taxes are excluded from the discounted amount. Offer expires 2/19/14 at 11:59pm CST.